Want a Single, Affordable Way to Fill Your Running Calendar? Discover U Run All Access! Get extreme cost savings per run. Guaranteed race slots. No need to rush registration or worry about early bird deadlines. Running nirvana? Pretty close. U Run All Access is back and it’s big! Do you love buffets—those all-you-can-eat banquets that appeal to whatever craving you might have at the moment? Perhaps you’re a frequent visitor to Carousel where foods on display qualify as works of art, or you can’t stop patronising Soup Restaurant’s lunch buffet at Hougang Mall and VivoCity, where you can dig in to sweet and savory dishes for just S$18.90. Bottom line is that you love variety as much as you love running. So how would you feel about being offered a buffet of marathons that allow you to pre-plan your personal race calendar in advance? This terrific program already exists: It’s called U Run All Access and you’re going to love it if you’re the sort who feels most comfortable when life is organised. If you’ve never heard of U Run All Access, allow us to introduce you to the concept, the programme and reasons you’ll want to get in on this great deal now. What’s U Run All Access all about? Convenience. Flexibility. Savings. U Run All Access by U Sports invites you to pick and choose from myriad upcoming marathons and races slated for 2017, registering for three of your top picks. These races are no minor events, by the way. 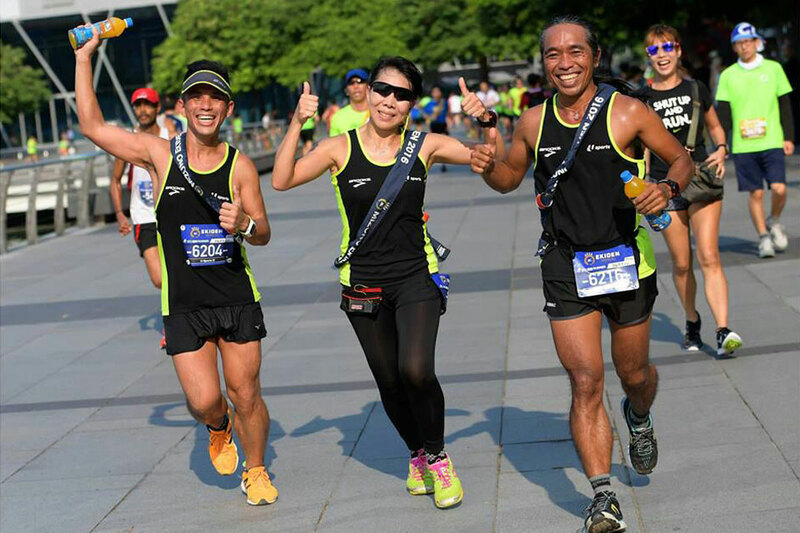 Included on the 2017 list of selections are the OSIM Sundown Marathon, Standard Chartered Marathon Singapore, Income Eco Run, Blacklight Run and Garfield runs, so if you can’t find options that suit you perfectly, you need to look at the list again! To take advantage of this opportunity, you need to be an existing NTUC / nEbO member. If you’re not, simply sign up for the membership here prior to registering for the U Run All Access package. Being an NTUC member comes with a realm of member privileges ranging from attractive merchant deals to opportunities for personal development workshops and more. 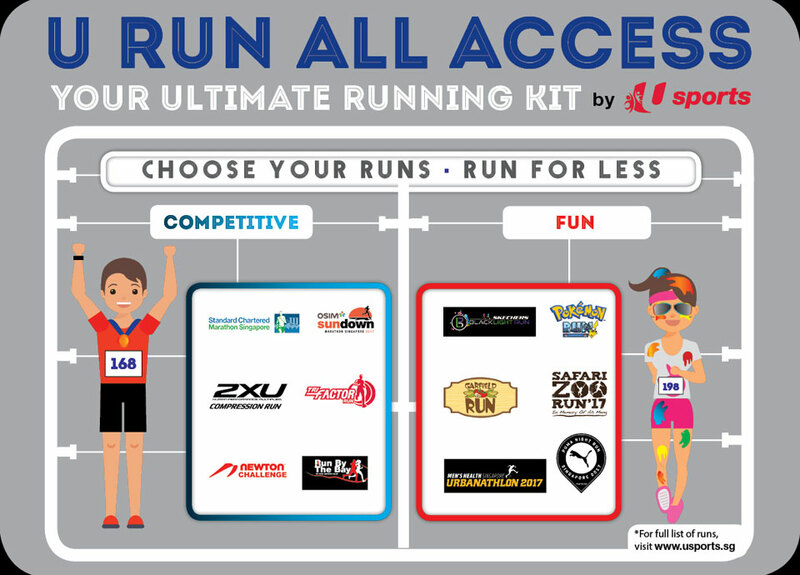 If you are a fun run lover or if you have kids who enjoy themed runs, you will surely be heartened by the new fun package included in the U Run All Access. 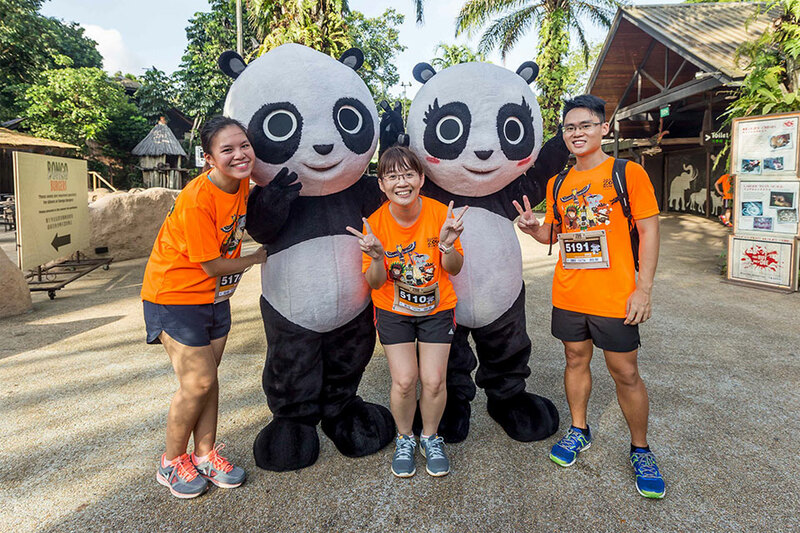 Most popular fun runs in Singapore are included such as Pokemon Run, Safari Zoo Run, Garfield Run, Blacklight Run, Puma Night Run, My Little Pony Friendship Run and more. You’ll save a bundle if you book a bundle because a 3-run package guarantees slots of your preferred races. You’ll never have to miss a race again! The list of runs boosts over 15 major and themed running events so the selection from which you can choose is unparalleled. Registration is hassle-free. Plus up your picks by adding additional runs to the schedule at an affordable flat rate per event. Build your collection of race entitlements, credentials and beef up your race resume in a single season. Be part of the U Sports running community, meet new runner friends and partake in Lead Up Runs for major races like SCMS to help you better prepare for race day! 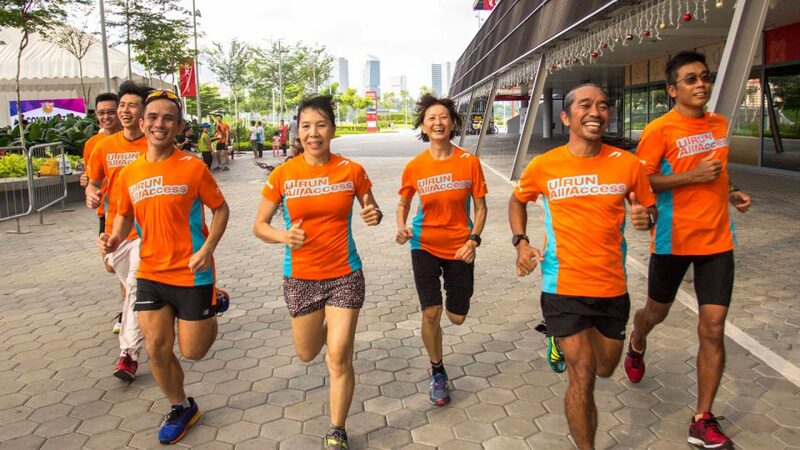 Enjoy free weekly running sessions led by seasoned runners who will share essential training tips focusing on style, timing, performance and more. Attend running related workshops facilitated by specialists eager to share training, conditioning, lifestyle and gear tips with runners of all ages and stages. Opportunity to represent U Sports at selected races (e.g. 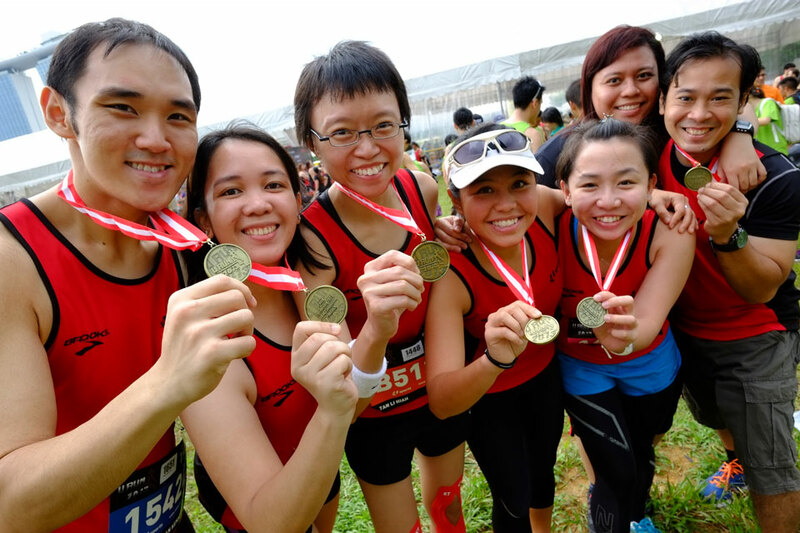 Ekiden events) with fellow U Run All Access runners and fast-track to become a pacer through U Sports’ Pacers’ Programme. ✓Stand a chance to win lucky draw prizes worth over $4,500 including a 5D3N trip to race at Gold Coast Airport Marathon, 4D3N trip to race at Blackmores Sydney Running Festival & more! So now, how does a running vacation sound? Sign up at the SCMS REPC Expo to be held between 1st and 3rd December at Singapore Expo Hall 4 (booths 47 and 48), and if you’re one of the first 400 runners in the queue, you’ll receive extra goodies. Grab this opportunity to avoid regrets! What’s not to love about an opportunity to fix your running schedule far enough in advance to keep your life from derailing? By taking advantage of your NTUC affiliation, your U Run All Access privileges kick in immediately. Choose events from a growing list of competitive and fun lifestyle races that suit every taste and skill level. Join free bi-weekly running activities at convenient locations like OMB, Velocity, Downtown East and more. Meet new people as engaged and fascinated with the sport of running as you are, and do it all on your own time schedule and within your budgetary framework. Calendar the aforementioned SCMS REPC Expo meet-up slated for the first few days in December or head for the event page right now—for answers to your questions and more information. While you’re there, sort your registration so fast, you’ll wonder why you never took advantage of U Run All Access before now! The 3-run ‘Competitive’ package is priced at $168, while the ‘Fun’ package is at $198. Both packages allow package holders to enjoy guaranteed slots to 3 of their favourite races available under the ‘List of Runs’ of U Run All Access in the year of 2017. For package holders who wish to run more races, they have the option to purchase additional runs at $52 (Competitive) / $62 (Fun) each. U Sports, the sporting community of NTUC Club, is a key engagement platform for union outreach through sports. For sports newbies exploring an active lifestyle to seasoned veterans in sports, U Sports is a great way for members to strengthen ties and nurture new friendships through fun and recreational sports events like interest group activities, inter-union multi-sports competitions and capability development programmes which helps to further members’ sporting passion.